1. Cut tie to desired length. 2. Wrap tie around item to be secured. 3. Fasten tie by positioning over itself. 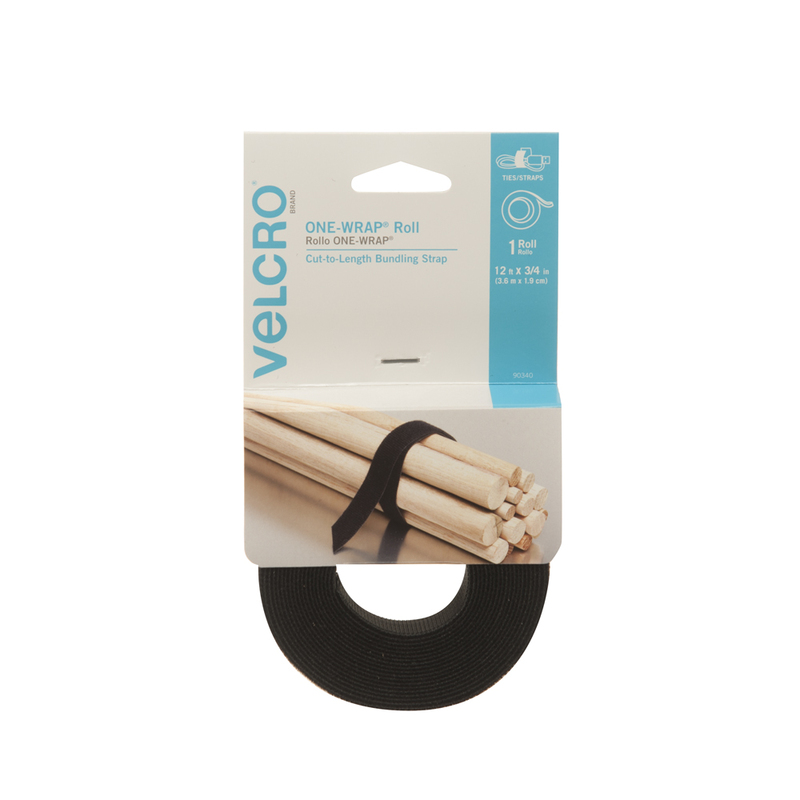 Yes, all VELCRO® ONE-WRAP products are designed to be reusable. Can ONE-WRAP Rolls be customized to any size? All ONE-WRAP products can be cut with household scissors to create the perfect length adhesive for any project. Will this work as a cable management solution? ONE-WRAP® products are reusable, adjustable and can be cut to any length, which makes them a perfect tool for clearing the clutter. Use cable ties to wrap and strap cables at home and your workplace. Can I use this for transporting materials outdoors? 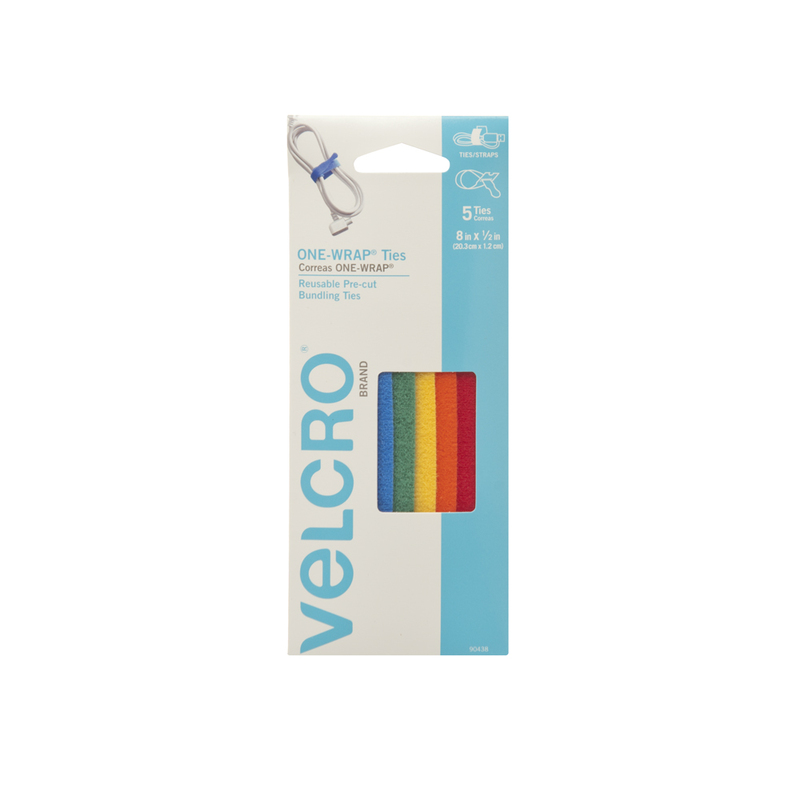 Yes, our reusable VELCRO® Brand ONE-WRAP ties and straps are safe for both indoor or outdoor use.